This story appears in the June 4 print edition of Transport Topics. Fleets are exploring every option they can find to sweeten their compensation packages to reward, retain and attract drivers as freight capacity tightens, according to industry officials. The range of driver pay adjustments is illustrated by six carriers that provided details of their compensation enhancements. Pay enhancements range far beyond simple cents-per-mile increases to include new methods for calculating pay, higher pay for detention and loading, and more-frequent bonus payments. The announced pay increases span the primary truckload businesses, including flatbed, dry van and refrigerated carriers. Bob Costello, chief economist at American Trucking Associations, agreed. In the refrigerated sector, Maverick Transportation LLC raised pay 2 cents per mile in the temperature-controlled division for all drivers while also raising detention pay. Skilled temperature-control drivers will make at least 41 cents per mile, and students will start at 35 cents per mile. Maverick, which ranks No. 96 on Transport Topics Top 100 list of the largest U.S. and Canadian for-hire carriers, also raised pay 1 cent per mile for flatbed drivers in April. “Our goal is to stay competitive in driver recruiting while simultaneously rewarding and retaining our existing drivers,” said Brad Vaughn, Maverick’s director of recruiting. TWT Refrigerated Service, Spokane, Wash., raised owner-operator pay to $1 per mile from 90 cents, said Jeff Benesch, vice president of personnel. “This $1 per mile is all miles, loaded and empty, and has no hidden factors and/or unobtainable incentives,” Benesch said. TWT also provides 100% fuel surcharge reimbursement, additional compensation for detention and “lumper pay” to load or unload a trailer. Flatbed carrier Builders Transportation Co., Memphis, Tenn., said it is increasing driver pay by as much as 10% by using a percentage of revenue system instead of traditional mileage-based pay. “Freight rates are increasing, so this is an ideal time to convert our mileage-based drivers to percentage,” said Dwight Bassett, chief financial officer. “We are so sure that our drivers will earn more under this percentage program that, for the first four weeks, BTC will pay the difference between percentage and mileage if mileage pay is more,” he said. 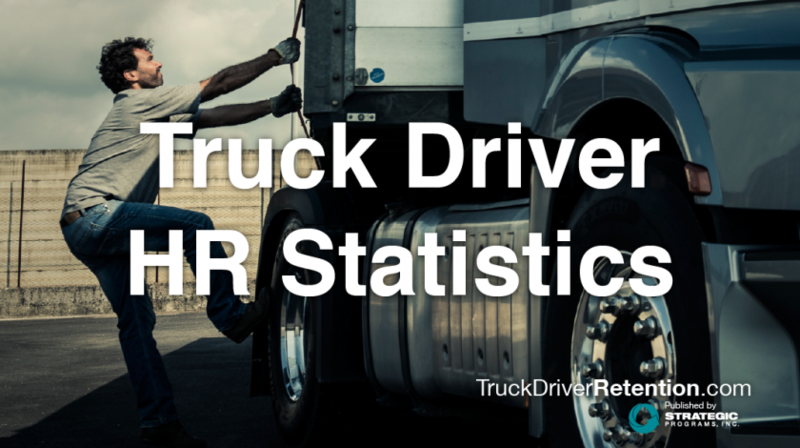 The percentage is as much as 27% of revenue for loads moved by a driver. After training, student drivers start pay at 24% of revenue and increase that percentage based on experience, Builders said. Bonus pay options also are in place. Melton Truck Lines, Tulsa, Okla., another flatbed carrier, raised pay 1 cent per mile for all drivers, from the earlier range of 34 cents to 46 cents per mile. Travel to Canada, hazardous materials loads and detention pay have been increased at the carrier. Bonuses are paid to drivers who recruit new ones, as well as for Compliance, Safety, Accountability program compliance and fuel conservation. “To hire and retain the best talent, we must pay our drivers well,” said Melton President Bob Peterson. Dry van carrier Nussbaum Transportation also raised pay 1 cent per mile from the previous 36 cents to 42 cents per mile. Nussbaum also raised stop-off and loading/unloading pay and added a premium for East Coast service. “Drivers are the backbone of our business, and we want to show that we appreciate their hard work and loyalty,” CEO Brent Nussbaum said. Nussbaum also has converted to pay on the basis of practical miles driven for a shipment rather than the shorter route that may be shown on a map but cannot be used because of factors such as congestion or bridge clearances. Fleetmaster Express, Roanoke, Va., raised pay between 6% and 12%, or as much as 5 cents per mile, based on drivers’ individual seniority and performance, Harold Hopper, executive vice president, said. Fleetmaster also is changing the bonus program. Like Nussbaum, the Fleetmaster basis of pay is practical miles driven. Green also noted the importance of mileage, saying that some drivers have told Strategic Programs that the pay package at their current carrier is good, but mileage is falling short of expectations.